Although I have an absolute grá for all kinds of craft supplies, I am a firm believer that you don't actually need 'real' craft supplies to get crafty. There are many things you can find around the house that can be used for creative projects. Egg cartons are incredibly versatile. They can be made into boats for small figurines, flowers, tea-cups for teddies, christmas trees, bug eyes and all kinds of crazy creatures. They also make amazing disposable paint holders! Cheap and cheerful cupcake cases can be used to make bunches of flowers, jellyfish, wings for butterflies, birds and fairies, scales for fish and even pretty garlands. Straws will hold sails for egg-carton boats, make good stems for cupcake case flowers but will also make brilliant marble mazes, cute bracelets, decorations and excellent building games. Paper or plastic - there are lots to do with both! Collect the buttons that come as spares on clothing or cut them off old clothes that are only fit for the bin and keep them in a little jar. 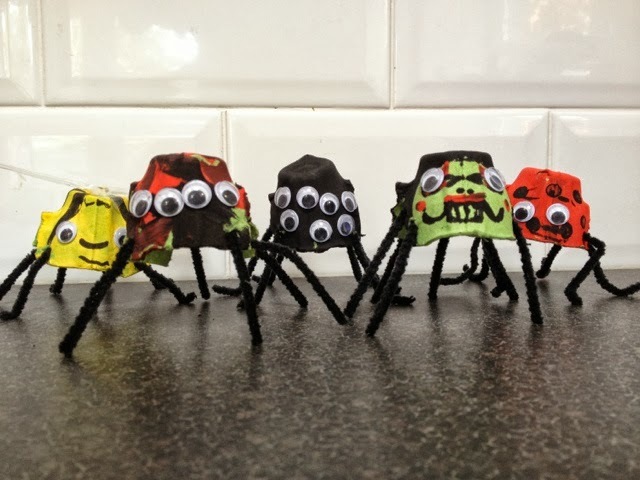 They make great eyes for egg-carton creatures, centres for cupcake case flowers and can be threaded onto string to make garlands, jewellery and decorations. Cookie cutters are not just for baking! You can use them as stencils to encourage reluctant artists to draw. Or draw around them cut out the shapes in paper, card or fabric. 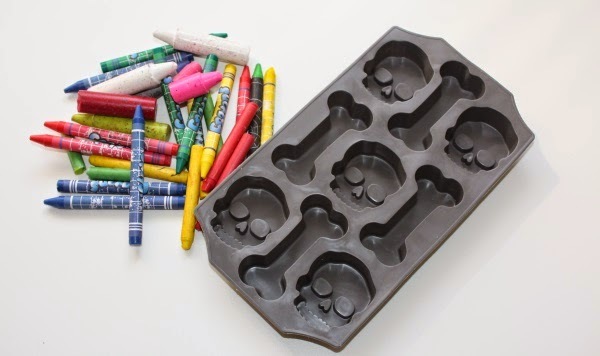 You can also use the metal ones as moulds to melt old crayons in, creating brand new ones!This can also be done with ice-cube trays. These can be used to make cute picture frames, seasonal wreaths and all kinds of seasonal decorations. The possibilities are endless with cardboard tubes. 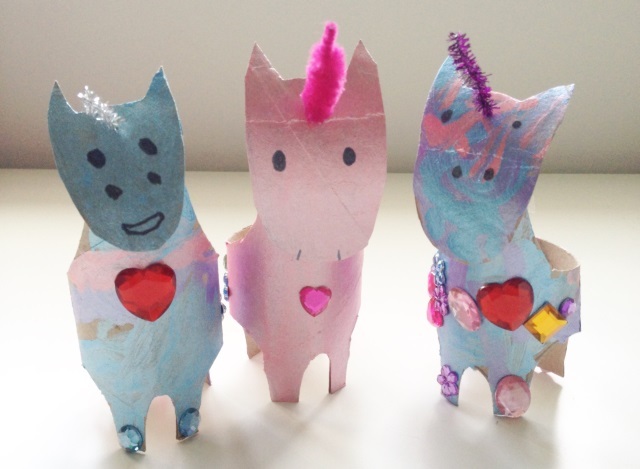 From pirate telescopes to cute characters, animals and fairy houses - cardboard tubes are an essential part of any home craft-kit. With a quick google search you will find a ton of ideas for making things out of paper plates. Dream-catchers, seasonal wreaths, masks and crowns - another very versatile craft kit-essential. Hats, boats, paper dolls and much more can be made from newspaper and you can also use it to protect your work surface - genius stuff! Plastic Bottles and Lids, Tin Cans, Elastic Bands, String, Wooden Skewers and Cotton Buds. You can also add chopped up old clothes for fabric scraps and collect sewing kits from hotel rooms to make simple stuffed toys or doll clothes. 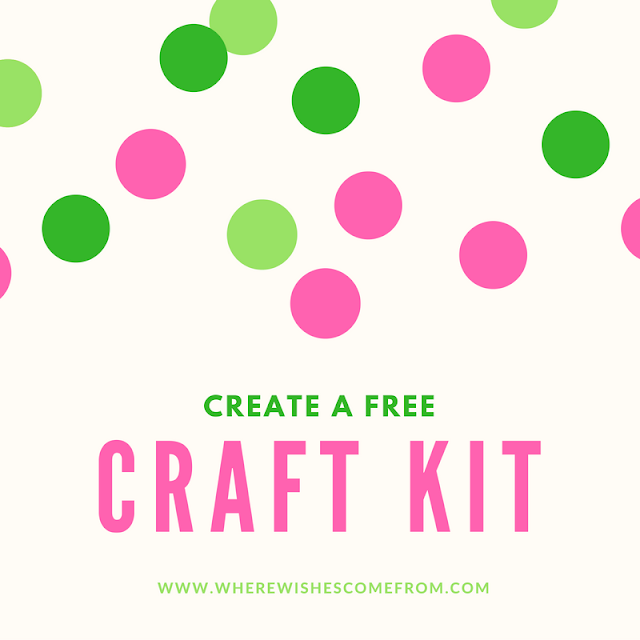 I've collected a whole heap of ideas using these easily found items to a Pinterest page which you can use for inspiration - or check out my craft page for ideas too. Once your basic collection has begun you might find yourself catching the craft-bug and wanting to inject a bit more colour into your creations. With that in mind I've got a great giveaway for you, courtesy of Dealz. Craft supplies can be expensive but Dealz have a great selection of products - like paints, brushes, pom-poms, pipe cleaners and much much more - the vast majority of which cost only €1.50 each. To win a €30 voucher for Dealz just enter the giveaway through the gadget below. Good Luck! If you start making now - there'll be handmade gifts for all this Christmas! Disclosure: Giveaway open to the Rep. of Ireland only. Thanks to Dealz Ireland for supplying the voucher for the winner of this giveaway. I was not otherwise compensated for this post.